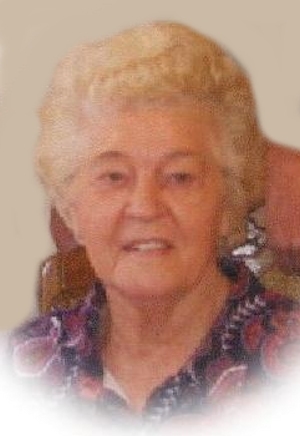 Obituary – Nida, Vivian Ann (Bowers) « Perry High School Alumni Association, Inc.
Vivian Ann Nida, 83, of Perry, Oklahoma, was the daughter of Harry and Mary Palovik Bowers. She was born on December 25, 1928 in Perry, Oklahoma and died Saturday, March 31, 2012 at her residence. She graduated from Perry High School in 1946. On April 17, 1947 Vivian married her best friend and the love of her life John Dean Nida. John preceded her in death on November 1, 2011. Vivian lived in the Perry area for most of her life. She was a member of the First Christian Church. She enjoyed playing cards, fishing, traveling and going on bus tours to her favorite casinos. Above all family was the most important thing to Vivian in her life. Vivian will be remembered as a loving wife, mother, grandmother and great grandmother by all that knew her. Funeral services will be 10:30 a.m. Thursday, April 5, 2012 at the First Christian Church in Perry, Oklahoma. Rev. Martin Foster will officiate. Interment will be at Grace Hill Cemetery, Perry, Oklahoma. Services are under the direction of BrownDugger Funeral Home. Memorials may be made to American Cancer Society in care of BrownDugger Funeral Home, 1010 N. 7th Street, Perry, Oklahoma 73077. 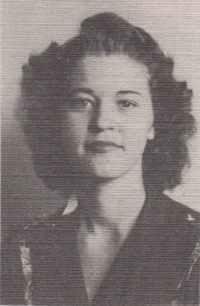 Vivian is survived by her three sons, Gary Nida and his wife, Vivian of Oklahoma City, Oklahoma, Dale Nida of Edmond, Oklahoma and Mark Nida and his wife, Jodie, of Tulsa, Oklahoma six grandchildren, Dr. Brooke Roberts and Hunter Nida both of Oklahoma City, Oklahoma, Jessica Wright of Oak Point, Texas, Natalie Hardin of Guthrie, Oklahoma, Amanda Stein and Jon Nida of Tulsa, Oklahoma one sister Thelma Hansen of Perry, Oklahoma nine great grandchildren. She was preceded in death her husband, John both of her parents, Harry and Mary Bowers one brother, Gene Bowers.